Usually, I just write about things I like on the blog. Today, though, I’m going to write about something I don’t like (maybe I should do this more often). 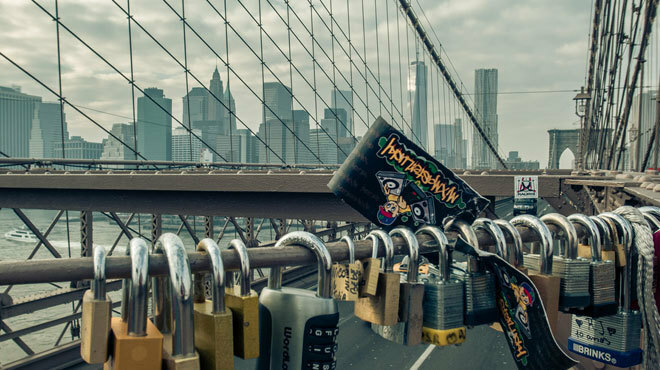 This bothered me last time I went to Brooklyn Bridge and, this week I was reading Time Out Magazine and funny enough, they were “complaining” about the same thing: Padlocks on the bridge. Many couples put their initials on a padlock and then put in on the bridge to express their love, just because is cute. 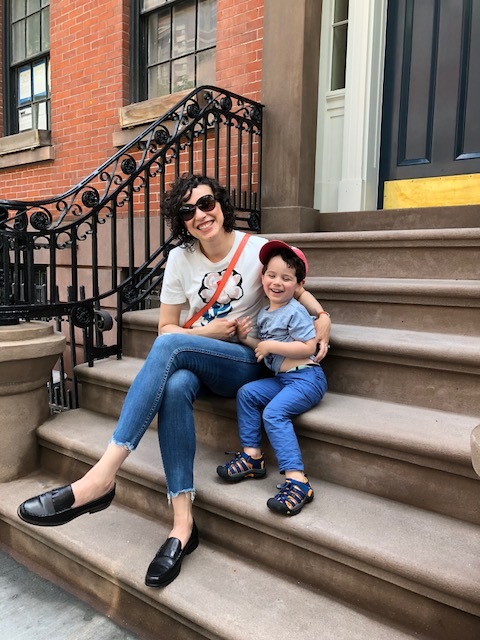 There are so many other things you can do to express love, right? 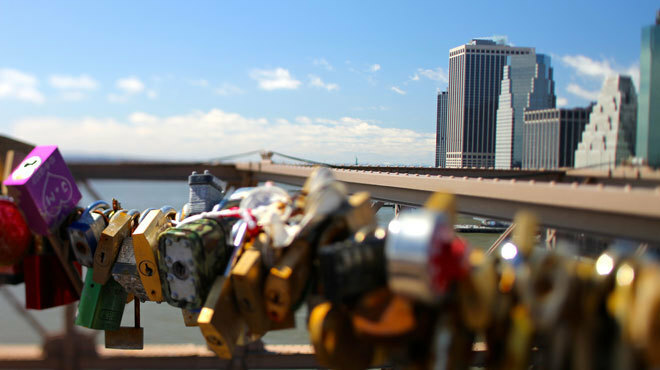 The good news is the city of New York is taking down the padlocks, so you shouldn’t waste your time putting one there. And another thing that made me really upset is that people are also writing their names, their cities or countries with markers on the bridge. People, this is borderline vandalism. This started in Paris, I believe.